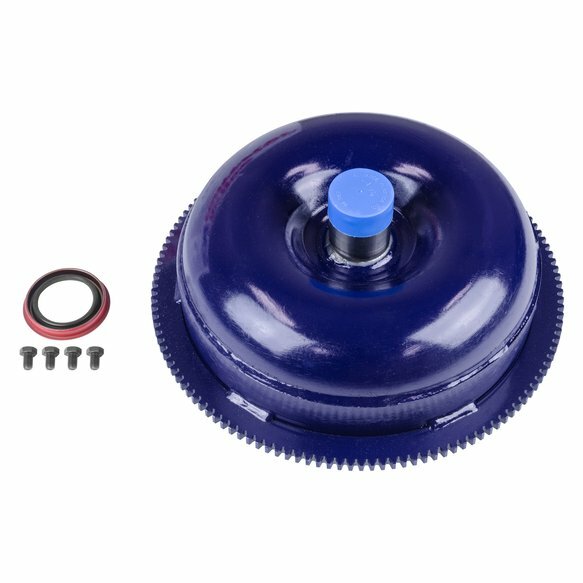 Fits 1967 to 1981 Chrysler, Dodge, Plymouth Torqueflite A727 automatic transmissions. Chrysler torque converters when used with externally balanced engine require a B&M Flexplate. The Holeshot Converter is a very good choice for the typical street machine that is looking for better launch capability and more strength. With a furnace brazed turbine, New turbine hub and dual pattern drive lugs on some Holeshots.